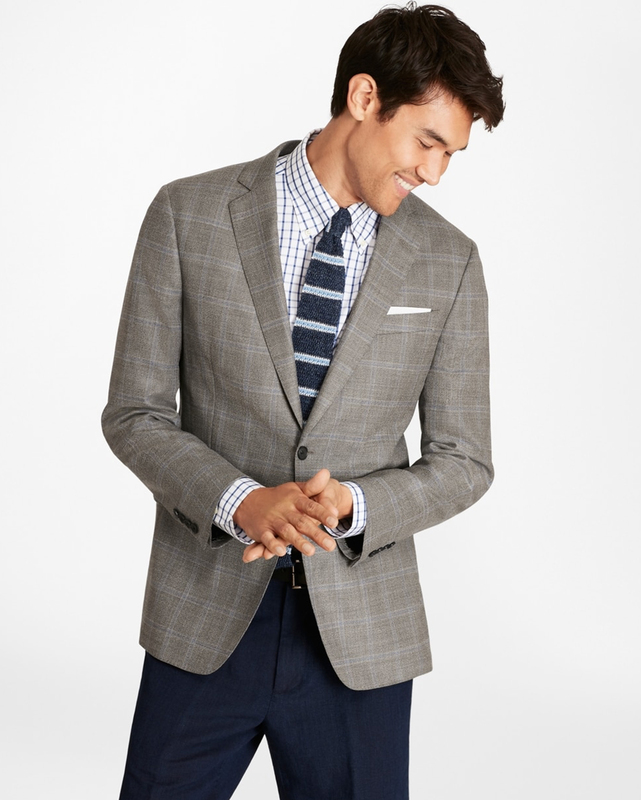 At Brooks Brothers, we understand what men of all ages and professions should wear to the office—and we are uniquely qualified at dressing American men (for 200+ years) in everything from casualwear to pinstripe suits. We’ve always been in the forefront of sportier clothing, with groundbreaking innovations in seersucker, corduroy, madras and linen, for example. Steering men to office clothes that are versatile, practical and current has always been our calling. Whether you’re in a startup or a C-suite, your style game should be as up to date as your smartphone. A man’s work wardrobe is now grounded in layered dressing that’s polished and never bulky, thanks to the latest lightweight, tech materials. It is designed to keep you cool in the summer and warmer in the winter—and in air-conditioned offices. The key is versatility, and dressing in layers ensures you have many opportunities to make a first impression. So, our editors are here to elevate your work game with five stylish, essential pieces that are professional—and downright cool. We’ll show you how to wear them and how to build a look around them. Move over, denim—there’s a new essential in town. These versatile pants have the five-pocket cool-factor of jeans, but are crafted from twill for polish. 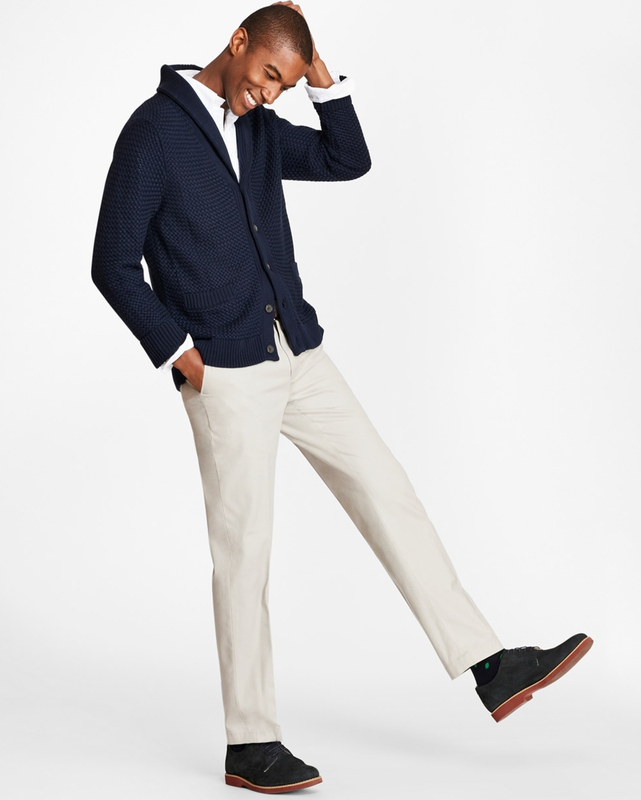 Plus, cotton twill is softer and has the flexible comfort of chinos. 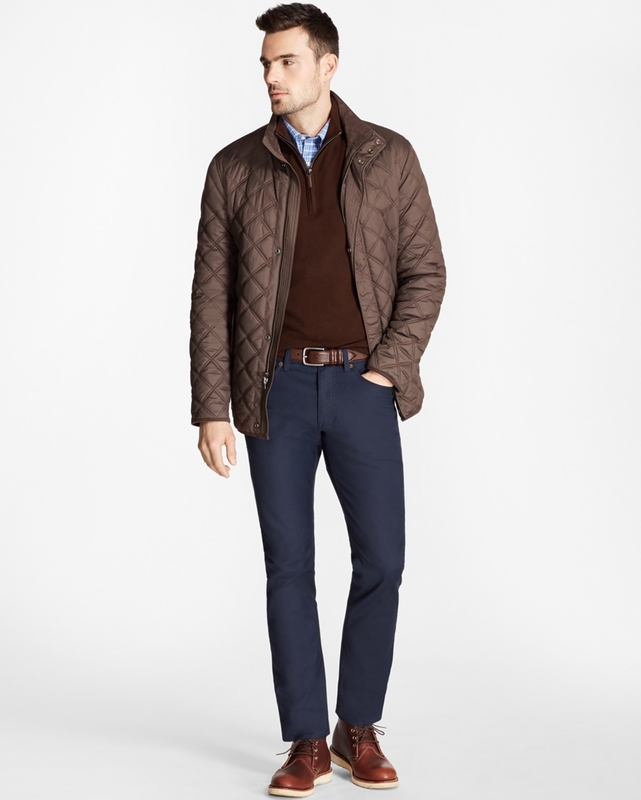 Pair it with a patterned sport shirt and half-zip sweater—and top it off with a quilted coat for a refined take on texture. It cannot be said enough: We’ll always be for sport coats. The next generation of these tailored classics is engineered for modern performance. This piece is ultra-lightweight and half-lined, so it wears like sportswear but looks like a tailored garment. We recommend a dress shirt and chinos (or dress trousers) and dare you to consider a knit tie for a look that is appropriately fashion-forward. 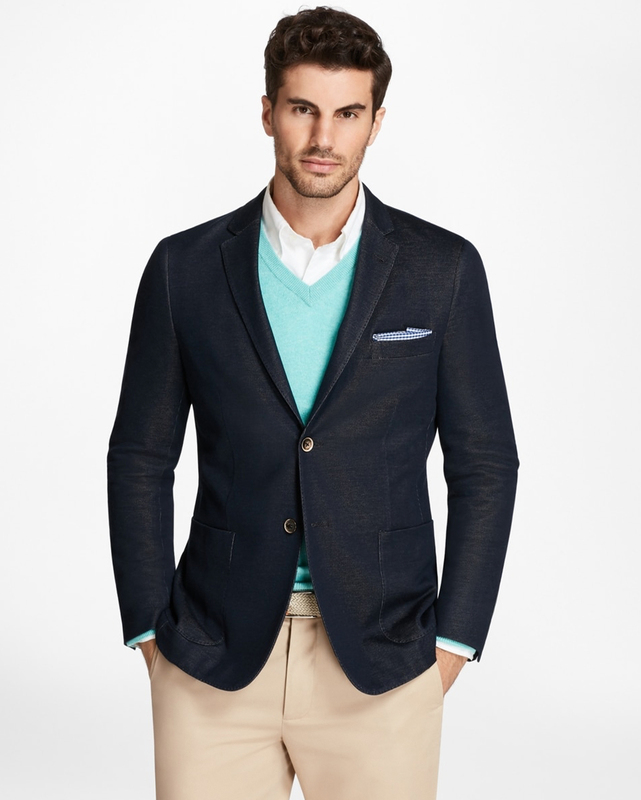 A cardigan is a great stand-in for a sport coat or blazer—especially in navy or grey. The shawl collar adds architecture to the neckline, so feel free to ditch the tie. The stitch detail gives the sweater texture and a bit of weight to hang perfectly (without clinging). Don’t overthink this one—chinos in a simple stone or khaki color and a crisp white shirt instantly elevate your look. 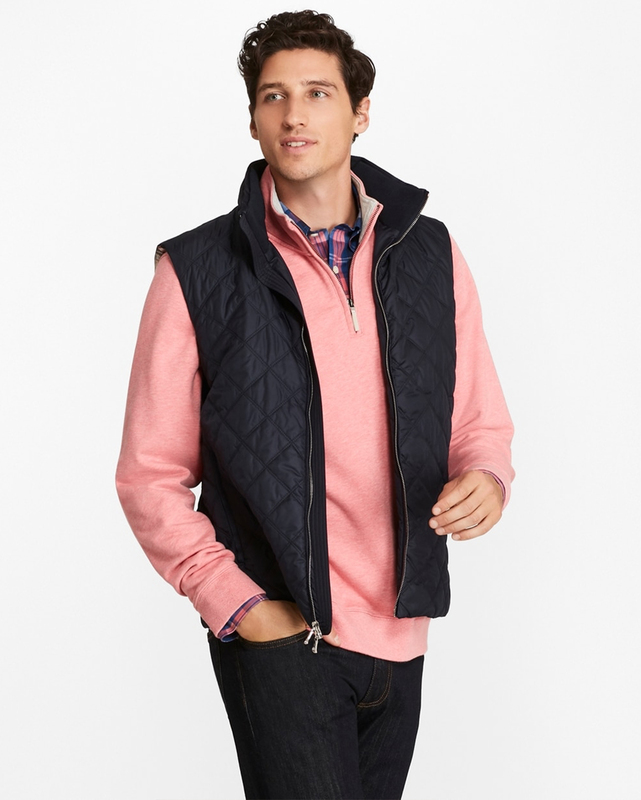 Wrap up the week by leaning into that quilted vest in your closet. And yes, there isa way to do it without looking like every Joe on the city block—but the trick is smart layering. A bright sport shirt and tonal half-zip—we chose super-soft French terry—has an upbeat, casual feel (it’s Friday, after all), and it goes beyond the plain blue or white dress shirt on which the others in your office may be overly reliant.